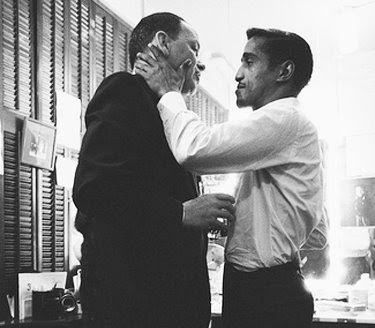 Rat Pack stars Frank Sinatra and Dean Martin were both influenced by Bing Crosby. And Bing had another Rat Pack connection as one of the stars of the Rat Pack film Robin & The Seven Hoods. 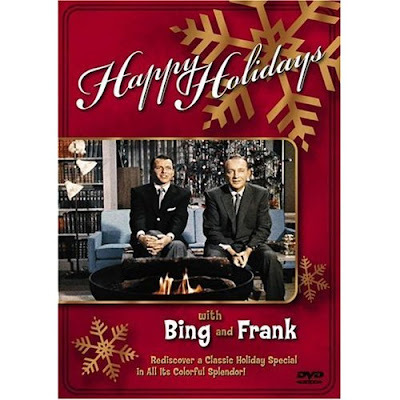 So Frank and Bing were well matched for a Christmas TV special in 1957 called Happy Holidays With Bing and Frank. It has Bing dropping in on Frank for some banter and songs, which also includes scenes of the two stars in England, and a duet of Bing's signature song, White Christmas. The show is available on DVD and includes interviews with Frank's daughters Nancy and Tina. Plus, there's a photo gallery bonus of never-before-seen Christmas cards that show some of Frank's original paintings. 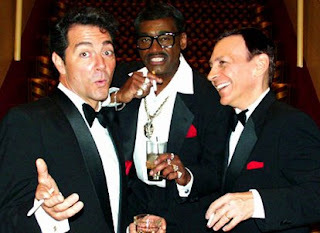 Rat Pack Tribute shows often include songs from this Frank and Bing special, performed by Frank, Dean and Sammy Impersonators. 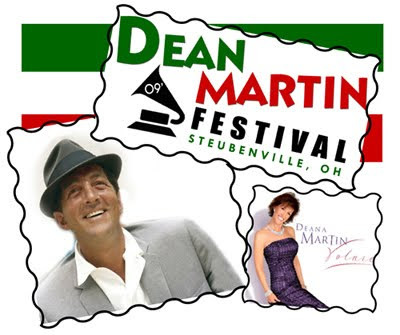 Every year, Ohio is the site of a celebration of the life of Dean Martin in the city of Steubenville, where he was born and spent his early years. The event goes on for four days each June, the month in which Dean was born (birthday: June 7th) During the festival, locals and visitors take in parades, contests, Italian food, and plenty of entertainment including performances by Rat Pack Impersonators. And of course, there are many fond reminiscences of Dean from people who knew him. It's an upbeat, fun event, with festivities including a meatball eating competition. The star of the Festival is Dean's daughter Deana who presides over the celebration and sings for the visitors. Deana happens to be a fine singer who does concerts around the country and has also hosted her own nationally syndicated radio show. 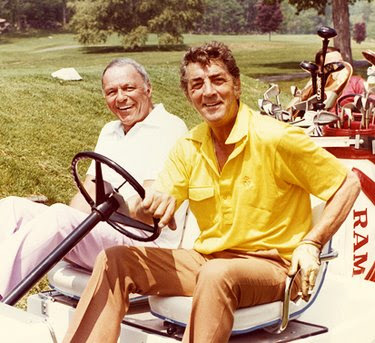 To learn more about the Dean Martin Festival, visit the festival's official website, and for a show re-creating Frank, Dean and Sammy, visit this tribute to the Rat Pack. Before Frank Sinatra assembled his Las Vegas Rat Pack of the 60's, he was part of an earlier Rat Pack group of the 50's set in Holmby Hills California, near Beverly Hills. 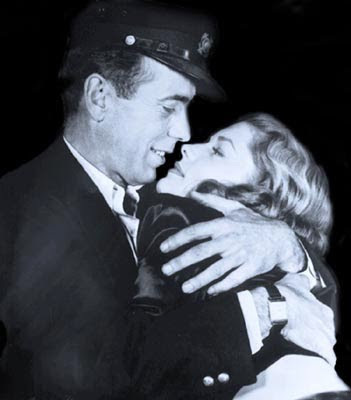 It centered around Humphrey Bogart and his wife Lauren Bacall, who is believed to have come up with the name, not necessarily as a compliment. There were even titles for the key members, with Bogart as rat in charge of public relations, Bacall as den mother, Judy Garland as first vice-president, her husband Sid Luft as cage master, and agent Swifty Lazar as recording secretary and treasurer, plus of course, Frank Sinatra as pack master. Other members of the original Rat Pack were actors David Niven, Katharine Hepburn, and Spencer Tracy, director George Cukor, restaurateur Michael Romanoff, and Sinatra friend and songwriter Jimmy Van Heusen. Someone in the group even created a coat of arms -- a rat gnawing on a human hand, and a motto: "Never rat on a rat". But in spite of those refinements, and those official titles, the members' only real responsibilities were to show up and drink together. Today, it's Frank's 60's group that's re-created in theaters and casinos presenting tributes to the Rat Pack, featuring performers known as Rat Pack Impersonators. The legendary stars with the most impersonators paying tribute to them would be Elvis and Marilyn Monroe of course, and there are also several Rat Pack Impersonators, not to mention Cher and Neil Diamond acts. But right up there with that group would be impersonators of Michael Jackson. There are many accomplished performers who transform themselves into MJ, even creating the look of his much modified nose. Some even do a remarkable job of moving on stage like Michael did. They will probably enjoy a resurgence of interest with audiences who will want to re-live Michael's legacy, at least in a tribute. Most of them are in the U.S. like the most prominent performers E'Casanova and Joby Rogers, both of whom could claim the support and encouragement of Michael. 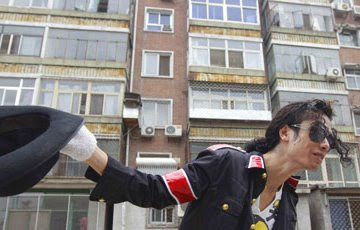 But MJ impersonators have even turned up in far away locations like the People's Republic of China where you'll find someone named Wu Di, the performer seen here in Beijing. Some Rat Pack Impersonators groups start their show with their Frank Sinatra, Dean Martin and Sammy Davis Jr. tribute artists taking the stage all at once for an opening song. It might be Where Or When or The Lady Is A Tramp. After that, one of the performers usually remains on stage for some solo songs, after which the others also take their turns for solos. 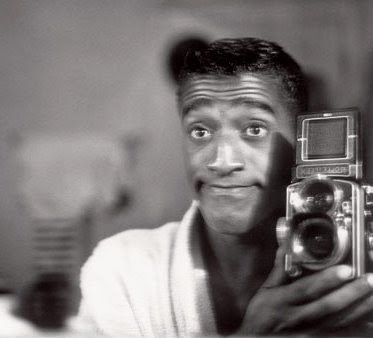 There are almost always duets of Me And My Shadow featuring the Sammy Davis and Frank Sinatra impersonators, and Sam's Song with the Dean and Sammy acts. Popular songs for all three to perform include Luck Be A Lady, Birth Of The Blues and Mack The Knife. And finally, the show often includes two Frank Sinatra titles that aren't really Rat Pack era songs, but are crowd pleasers. And those would be My Way and New York, New York. Labels: dean martin, frank sinatra, rat pack, rat pack impersonators, sammy davis jr.